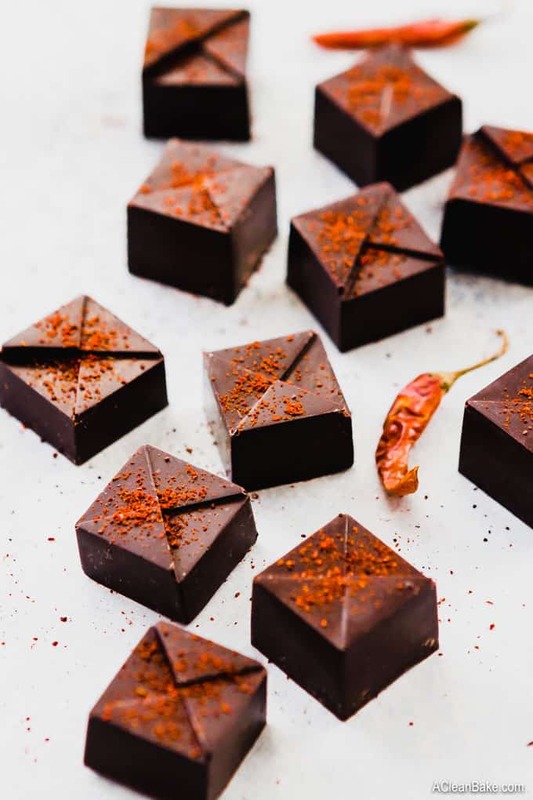 Jump to RecipeKeto chocolate is high in fat and sugar free for a low carb twist, but all you’ll taste is smooth, silky dark chocolate flavor coupled with a pungent spice mix that is sure to warm you up a little! It’s so easy to make chocolate at home with just a few ingredients. Try it and see for yourself! Welcome to a very belated chocolate month. You see, last year I designated February as “Chocolate Month” for obvious reasons (end of Whole30s/cold and damp/need pick-me-up/Valentine’s Day/why not?) and, well, there’s no turning back from Chocolate Month. So, the long and short of it is that I am going to have a lot of chocolate recipes for you in March and April. Do you mind? Nah, I didn’t think you would. Great! 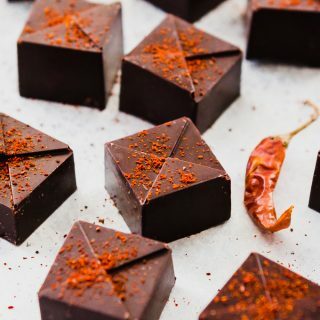 Let’s kick off with Mexican-spiced Keto chocolate. Back in the day, I used to make all kind so high fat, low carb, sugar free treats and called them… sugar free. It turns out that there was more to them than that; these recipes are technically “keto” appropriate, so I’m starting to name them as such, to make them easier to find by those of you who adhere to the low carb/keto lifestyle. At first, I was a little wary of the keto diet because it seemed kind of gimmicky (mostly because 99% of the recipes out there were called “fat bombs”… which sounds disgusting). But, I stand corrected, mostly because I learned a little bit more about Keto and realized many of my recipes already fit the bill. Like Paleo, I was already following the keto diet somewhat by listening to my body, but I just didn’t know it. And since I’ve stopped nursing and stopped craving as many carbs, I’ve started to want to eat more low carb foods again. So, you’ll see a few keto recipes (and other low carb recipes) popping up here, but please don’t be put off by them. Like all of my gluten free treats, they don’t make it to the blog unless they’re good. Not “good for keto”. Just good. You with me? Awesome. 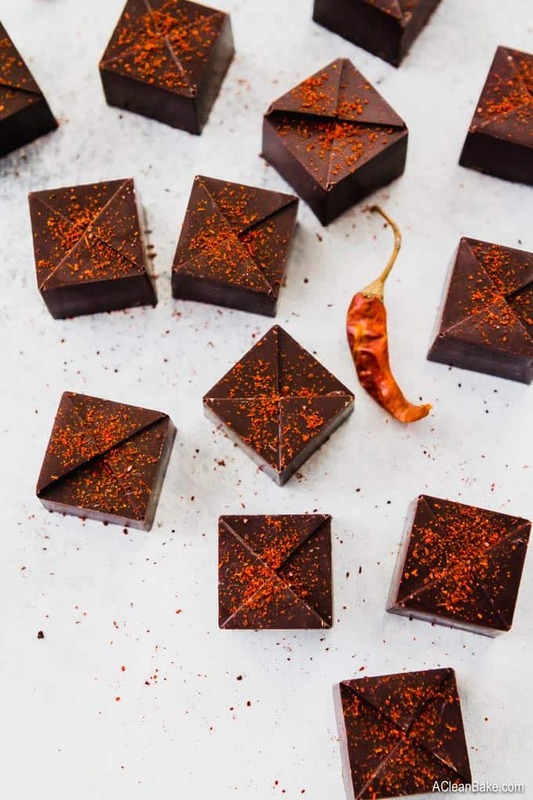 As a result, I revisited a low carb chocolate recipe I already had on my site (I used to call this Mexican spiced sugar free chocolate, in case you’re wondering why it looks slightly familiar). The old recipe calls for coconut oil, which I know a lot of you liked because it is easy to find these days. Most grocery stores carry coconut oil, and you can always find it online. However, the drawback to using coconut oil as the base here is that you must keep your keto chocolate refrigerated; at room temperature, the chocolate starts to melt and get pretty messy. It’s not fun to eat, and it’s impossible to take this chocolate with you anywhere, or bake with it (which makes sense, since we’re all bakers! 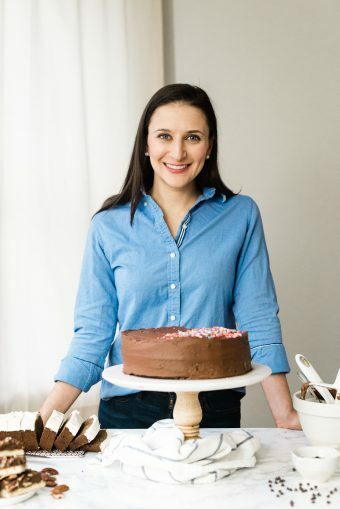 I get tons of questions about using this, and the original sugar free dark chocolate recipe that you can find here, in your gluten free baking). It annoyed me too, to be honest. In order to find a solution, I went back to the drawing board and reworked the recipe to make it the best low carb and keto chocolate out there. Ok, if I’m being really honest here, there were a couple of things I wanted to change. First, the consistency because, as I mentioned above, the meltiness just wasn’t cutting it. I knew the base would have to consist of cocoa powder and some fat that was solid at room temperature, and a solid fat that isn’t terrible for you isn’t the easiest to come by. The solution was so obvious, if you know how any chocolate is made: cacao butter. It’s the base of all chocolate, and by mixing it with my favorite cocoa powder, I created a chocolate that holds its shape and consistency at room temp. Woo! The one drawback is that cacao butter isn’t as easy to find as coconut oil, but you can find it online. I got mine on Amazon. Or, you can use coconut oil, but you’ll be right back where we started with the melting problem. If you don’t mind, I don’t. But cocoa powder + cacao butter = a chocolate that appeals to absolutely no one’s sweet tooth. So, the next hurdle was the sweetener. The original version of this recipe used granulated stevia, but if you weren’t using the same brand as I did, the chocolate, once it firmed up, could become gritty. I never want to send you on a wild goose chase for precise brands of low carb sweetener, so I swapped the sweetener in this new version of the recipe for liquid stevia. The rest of the recipe is still pretty similar to the original, although I adjusted the amount of spices and vanilla extract slightly. But you won’t see anything too shocking, and it’s all still pantry ingredients. This recipe takes very little time to make, and it’s all prep time. You do not need to cook anything, although you will have to melt the cacao butter (or coconut oil, if you’re using it instead), which you can do in the microwave or over a double boiler. Then just stir in the remaining ingredients, pour into your chocolate mold, and … wait. The waiting is probably the hardest part. Once the chocolate has set, you can eat it, or bake with it! You can mold the chocolate into any shape you want. Just buy whatever mold best suits your needs (again, I get all my chocolate molds on Amazon; you can also check baking supply stores. This is the one I use [aff. link]). Just know that, of course, your yield will probably vary when you use a different mold. If you’d like to use it in place of unsweetened bakers chocolate, simply leave out the stevia. If you’re planning to use this chocolate in cookies, you can swap it in for commercial sugar free chocolate with one notable exception: since this keto chocolate doesn’t contain any additives or stabilizers to help it hold its shape, you’ll need to compensate as much as possible for its tendency to melt in the oven. That means keep it as cold as possible before baking, and chop it (or mold it) larger than the pieces you’d like to see in the baked cookie. Ideally, you’d chop the chocolate, and put it in the freezer, then fold it into the dough immediately before forming the dough into balls and baking. Or, just do the best you can to keep the chocolate cold, and chop it to a size that looks too large. Do not try to bake with this if you are using coconut oil as the base. Feel free to leave out the spices if you just want traditional chocolate flavor. 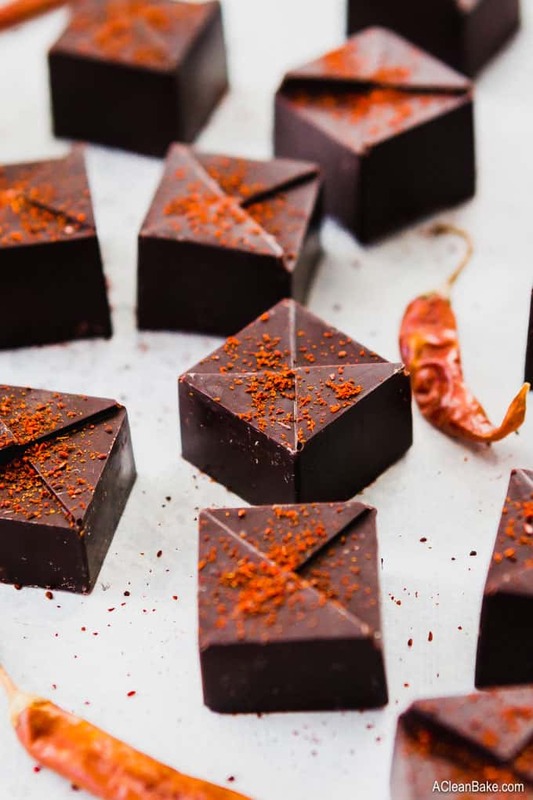 These tiny chocolates pack a punch of flavor that will bring you back to life. They are so dark-chocolatey that they taste almost coffee-ish, and they are sweetened just enough to take the bitter edge off the cocoa powder, but not a drop more. Start with that, and mix in some spicy magic: cinnamon, nutmeg and chili powder. Ohhhhh, the chili powder. You see, when you mix it all up, you might think “gosh I am disappointed that these flavors are so weak.” Just wait. Just as the liquid mixture transforms to a solid as it chills, so too do the drab, washed out spice flavors transform into an amalgam of flavor that evolves from sweet to pleasantly bitter and finishes with a just-bold-enough smoky spiciness from the cinnamon and, more so, the chili powder that will send a shiver down your spine in the best possible way. Oh, and one more thing: I can’t take credit for the original idea for this recipe. When I first made my sugar free chocolate recipe, I brought it in to my old office to share with my colleagues. My project partner, Joe, took a bite and nonchalantly remarked that it might be good with some chili powder. And this chocolate was born! What can I say? I worked with some brilliant people. Keto chocolate is high in fat and sugar free for a low carb twist, but all you'll taste is smooth, silky dark chocolate flavor coupled with a pungent spice mix that is sure to warm you up a little! It's so easy to make chocolate at home with just a few ingredients. Try it and see for yourself! In a small mixing bowl, whisk together the dry ingredients (cocoa powder through salt). Set aside. Add the cacao butter to a microwave-safe bowl and heat on high in 30 second increments (stirring in between) until melted. You can also melt in a double boiler, if you prefer. Stir the vanilla and stevia into the melted cacao butter. Add the cacao butter mixture to the cocoa powder mixture and stir until smooth. Divide between two lightly greased mini loaf pans or a lightly greased chocolate mold (here is the mold I used for these chocolates, and I also have this heart mold). Allow it to set at room temperature until firm. Make sure you're using a the best quality cocoa powder you can find, since this is the primary source of flavor in these chocolates. Also be sure you're using spices that aren't too old. I tried this with chili powder that had been in my cabinet for over a year, and newly purchase chili powder and the flavor difference was substantial. For a little more complex flavor, replace half of the cinnamon with pumpkin pie spice. Check that you're using food grade cacao butter. If you can't, or don't want to, get cacao butter, you can use coconut oil instead. But, if coconut oil is the bast, you must keep the chocolates refrigerated until just before eating, and you can't bake with them. Although it is not mandatory, it is helpful to have a silicone candy mold for this. They are quite inexpensive, and you can use them over and over again for chocolate or even gummies. This is the one I used for these. If you'd like to use it in place of unsweetened bakers chocolate, simply leave out the stevia. If you're planning to use this chocolate in cookies, you can swap it in for commercial sugar free chocolate with one notable exception: since this keto chocolate doesn't contain any additives or stabilizers to help it hold its shape, you'll need to compensate as much as possible for its tendency to melt in the oven. That means keep it as cold as possible before baking, and chop it (or mold it) larger than the pieces you'd like to see in the baked cookie. Ideally, you'd chop the chocolate, and put it in the freezer, then fold it into the dough immediately before forming the dough into balls and baking. Or, just do the best you can to keep the chocolate cold, and chop it to a size that looks too large. Nutrition label facts calculated using coconut oil as the base. OMG yes! It’s an absolute life saver and I don’t know you about you but I need the darkest, bitterest, and (not) spiciest stuff out there for the full therapeutic effect. I hope you get a chance to try them! Thanks, Colleen! That’s exactly what I was going for. Hope you are doing well! Whoaaaa, these look great – and I am not even a chocolate-on-its-own lover! That fridge can work some magic, I totally know what you mean when you make something and you’re like, ‘that’s good, but it could have a better punch’ then it comes out completely awesome. Thanks!! Even if you don’t love chocolate, you might like these because of the spices! We should really figure out a way to switch weather. I am So tired of this! I’m ready to grill! Yes, that should be on a t-shirt! Hm to be honest, I think that your raw cacao should work but I don’t really know! I’ve never tried it so if you do give it a shot, I’d be curious to know how it turns out. You should be able to increase the sweetener with no problem, as long as you are using something granulated. Can’t wait to hear how they turn out! Chocolate is the best therapy there is, right? Although I am a chocolate purist and usually don’t enjoy heat with my dark chocolate, you just may have swayed me with your recipe. Cannot wait to try! Thanks for sharing, Nora! I still cant believe how easy it is to make chocolate. I know – RIGHT!? A little too easy! oh wow i want to reach through my computer screen and grab a piece right now! Or better yet, grab two! It’s crazy that you come home and whip up sweet treats after a long day at work. Most people would claw their way to bed. 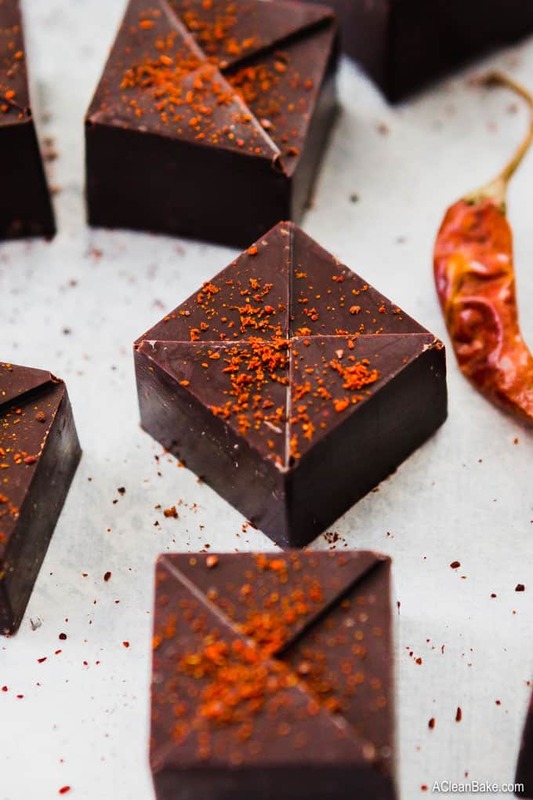 And can we talk about that chocolate + chili powder combo? Can I say heaven? Kudos to your brilliantly creative co-worker for suggesting. Haha I don’t always. Sometimes if I’m just too keyed up to sit down, I head straight to the kitchen! Otherwise, I totally collapse on the couch. I swear by full fat cocoa powder; yes there is such a thing. I made a decadent, double layer, pumpkin cheese cake cake with this powder. I’ve never come across a darker cocoa powder; it’s so dark it’s almost black. I will make this recipe and let you know how it turns out. I love the idea of it!!! Full fat?! That sounds amazing! I didn’t know that was out there, but I can absolutely believe it is amazing. Where did you get it? Yes please do let me know how these chocolates turn out with the full fat cocoa! Well, mine didn’t turn out looking anything like the photo, though that’s mostly my fault! I wish it had yielded more batter; I made the mistake of pouring them into a regular load pan instead of a mini one, so they ended up very thin and flat. The consistency is nice when you bite in, and I liked the spices, but they seem a touch chalky to me. I’m thinking of doubling the batch and changing the cocoa to cocoa butter ratio from 2:1 to more like 1:1. They’re intensely bitter, too, which I think is the fault of my liquid Stevia: I always find I have to put in WAY more than recommended in order to get to the right level of sweetness. I might try setting powdered stevia with the butter next time. I look forward to experimenting more with them! Will you please provide an Amazon link to the cacao butter (or a brand name) that you used? I’d love to make these but am confused by all the different brands of this on Amazon. Even when I search for food grade some of the descriptions seem to lean more toward topical uses. I cannot stand stevia. Can I use monkfruit sweetener instead? Yes, as long as it’s liquid!